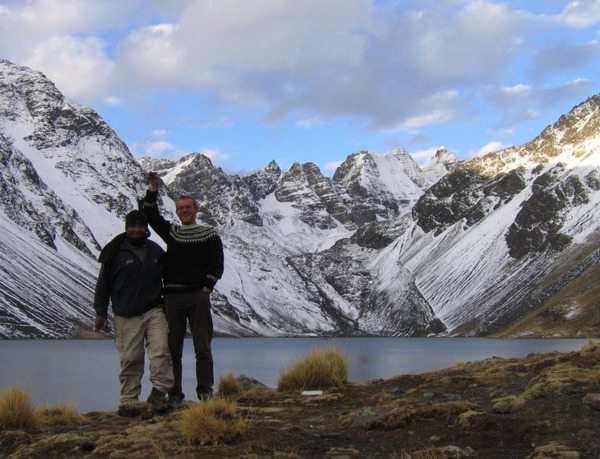 This short trek, catered to those already acclimated, takes us right to the Heart of the Cordillera Real, in the Condoriri range. 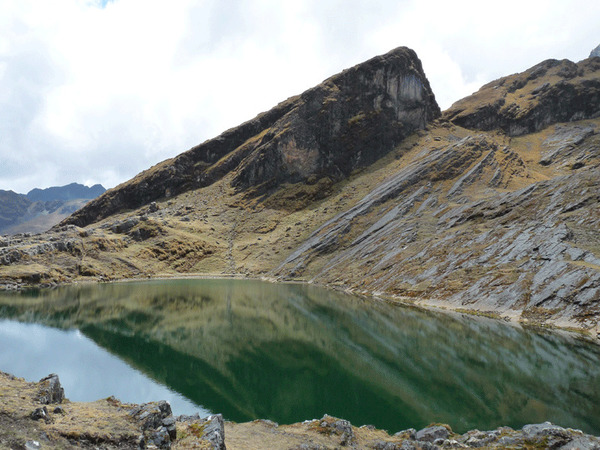 Its 13 summits all over 5000 meters in height, located in a very small area, gave birth to a myriad of lagunas. We trek through this display, in the company of our llamas and under the stare of the Condoriri (el. 5650 m.a.s.l. 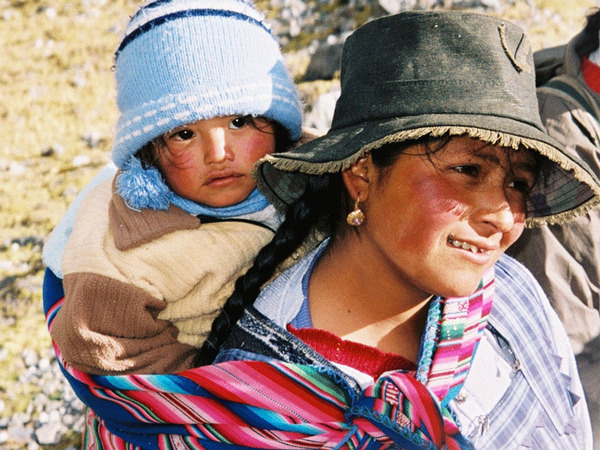 ), poised above us in the shape of a Condor with its wings folded and of Huayna Potosí (el. 6088 m.a.s.l. 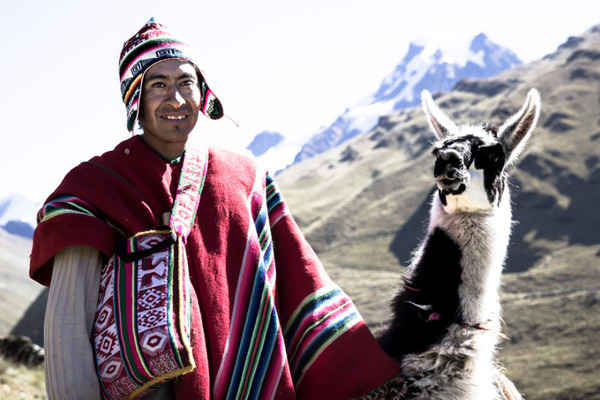 ), Giant of the Cordillera. 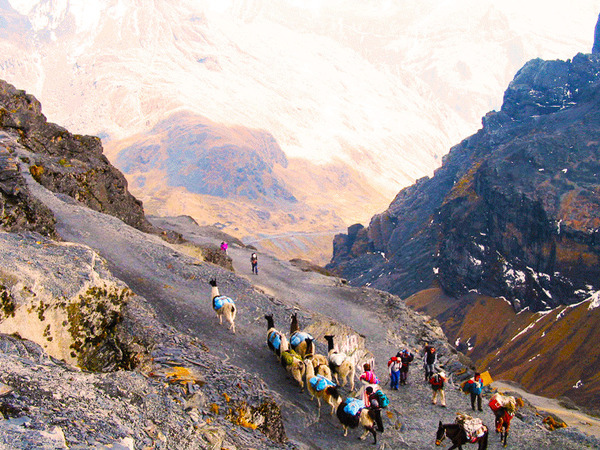 Trek difficulty: 4 to 6-hour hike a day. Good physical shape required. 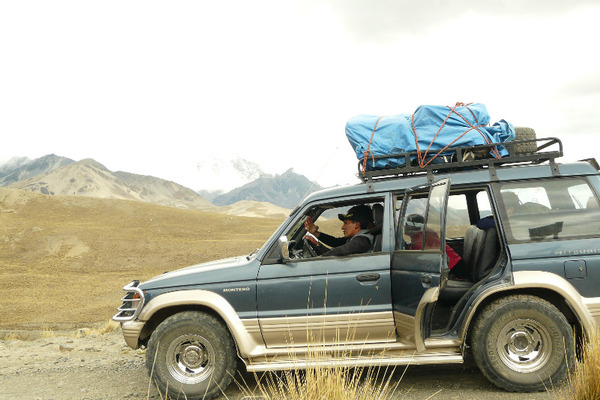 Departure from La Paz at 8 a.m. by private vehicle to go to the village of Tuni, the starting point of our trek (approx. 3-hour trip). After getting around the lake of the same name, we will join a mountain pass at 4900 meters above sea level, before descending to the Laguna Juri Khota (a 4-hour walk). 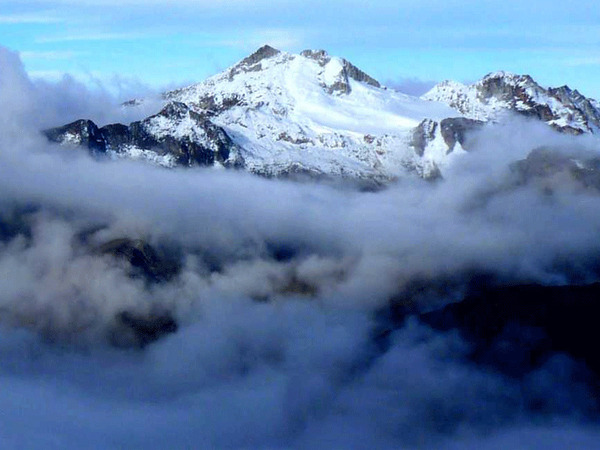 From there, we will have a very beautiful view of the “Cabeza de Condor”, or the Condor’s Head also known as El Condoriri, dominating the scenery (5648 m.a.s.l.). With the two adjacent summits, it has the shape of a condor with tucked wings. 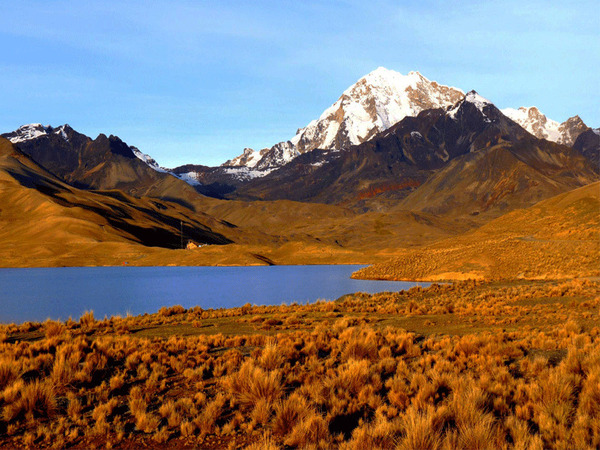 From the Laguna Jurikhota we will climb up a steep slope to reach the Laguna Congelada, (two glaciers drop into its icy water), a stunning sight at an altitude of 4900 meters and at the base of the Condoriri mountain (5650 m.a.s.l.). After climbing to a second mountain pass (Paso Austria, 5120 m.a.s.l. 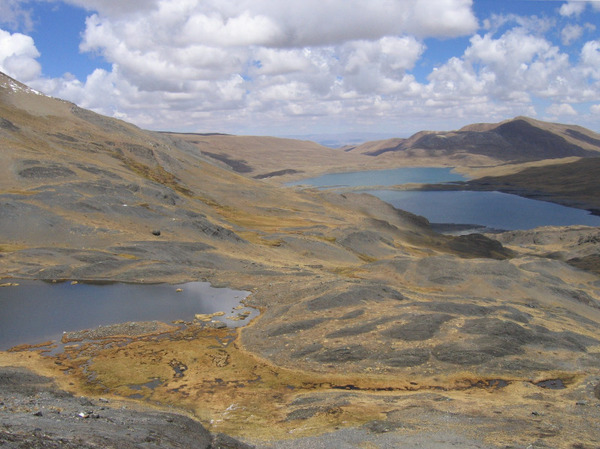 / one hour ascent) we will descend on the other side towards the Condoriri and the Pequeño Alpamayo base camp, at the edge of the Laguna Chiarkhota (4670 m.a.s.l.  / 1h30 descent). Leaving the Condoriri behind us, we will pass at the base of the Black Needle and eventually reach the Jallayko Pass (5025 m.a.s.l.). 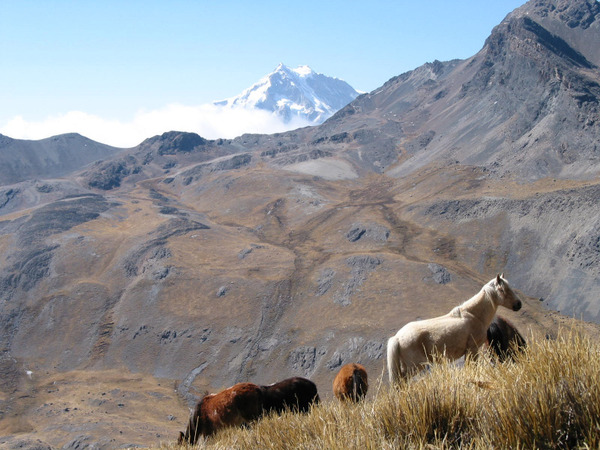 We will then descend into the very beautiful and steep Jistaña Valley, before ascending the Tillipata Pass (5000 m.a.s.l.). 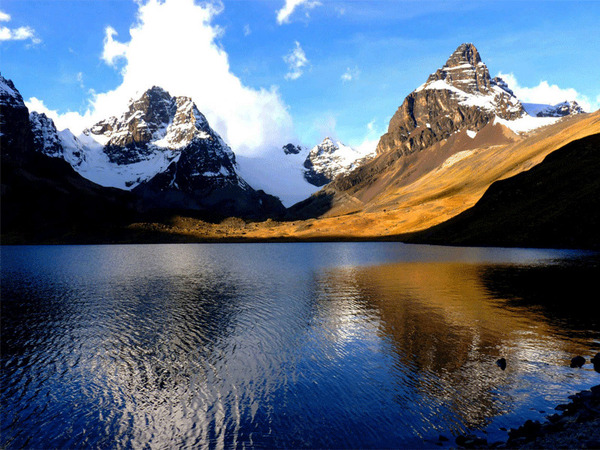 The spectacular scenery over the myriad of lagoons will be a great reward for our efforts. We will have another downhill to the Laguna Wichu Khota, where we will set up our camp, at the base of the María Lloco (5522 m.a.s.l.). 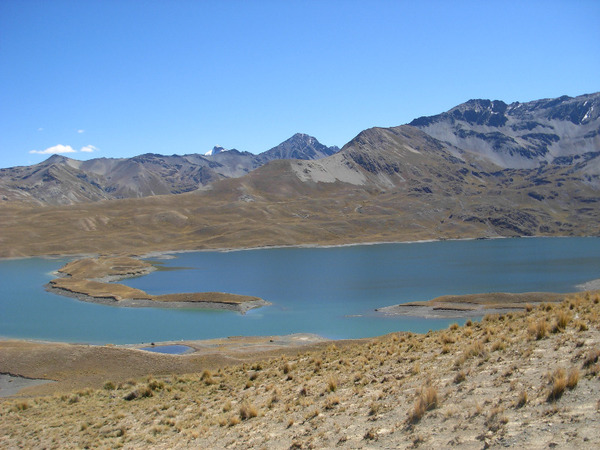 We will start the day going to the laguna Esperanza, that we had seen the day before, and then to the Cerro Santa Fe, dominating the ancient camp of the mine of the same name. 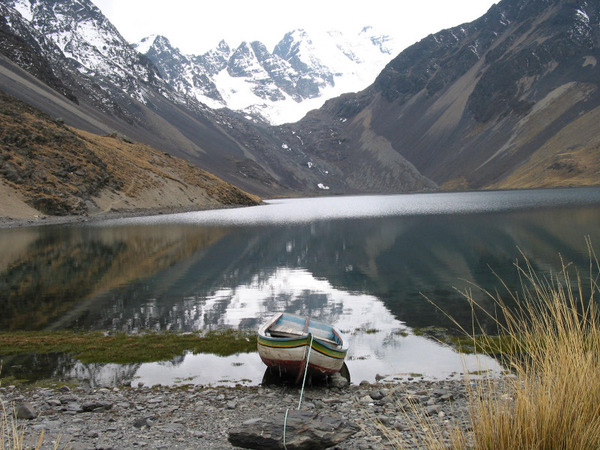 We will get the opportunity to admire one more time the totality of the lagoons, before walking down to the Laguna Tuni, where we will get back to the vehicle to go to La Paz (approx. 3 hour-trip). Hiking time: 4h; Elevation gain: +300m / -550m.